Barry over at SEroundtable pointed out that some honest theme designers were being targeted by Googles Penguin. It seems the credit link found in the footer of most WordPress themes will trigger the penguin and destroy your (theme designer) rankings in the search index. OK they’re not exactly natural links in Googles view but should the designer be credited? I think they should. It’s not as if they’re hiding hundreds of spammy unrelated keyword links or buying backlinks by the dozen. They’re honestly helping people and just trying to get a little backlink juice. I always thought Google would put steps in place to stop the spammers only if it meant those steps couldn’t be used against honest webmasters. What’s to stop someone from releasing a couple of themes all with the same anchor-text links pointing to the competition? 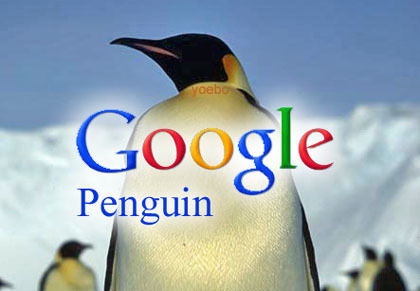 Googles bitchy Penguin is flawed! There’s a similar issue going on over at WebmasterWorld. Also, Google is destroying these sites that have footer credits linking to them but in every footer is also a link to WordPress with the anchor text exactly that. I don’t see them guys having any issues or being de-indexed though. Hang on.. does Matt Cutts use WordPress? hmm. Seriously, Google, start focusing on the real spammers or auto-crappy blogs that always use the same script to scrape garbage content etc. This entry was posted in SEO, Webmaster by Lou. Bookmark the permalink.